Civil Litigation is a term of art that describes the process of managing a legal dispute that is civil, as opposed to criminal, in nature. A civil litigator is a trial lawyer that focuses their experience and training on matters that have monetary damages attached to them. The term litigation applies to a broad range of disputes and can be corporate or personal in nature. Whether you are a business owner, a professional, a parent, or an injured person if you are involved in a legal dispute you need the skills and experience of a reputable firm known for its expertise and attentive diligence to understanding the full breadth of North Carolina’s laws. 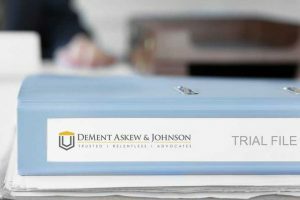 The lawyers at DeMent Askew & Johnson are skilled and experienced trial attorneys. 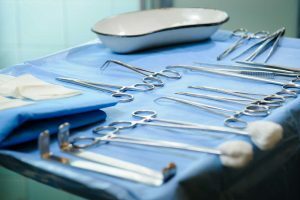 For the most part, the civil trial lawyers at our firm represent plaintiffs, people who have been injured physically or financially due to the negligence or malfeasance of another. However, we are very experienced in and frequently handle a wide range of all types of civil litigation. Through our team’s collaborative approach, we carefully analyze your legal issues through the lens of North Carolina’s laws. 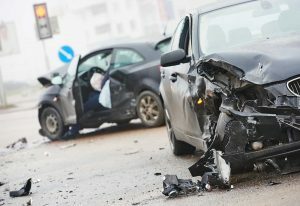 Whether you have a business dispute, an issue with a contractor or developer, have been lied about or falsely accused, injured in an accident, or are suffering at the hands of your insurance company, we can help. 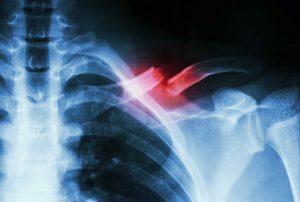 Together with a trustworthy network of experts, including physicians, engineers, accountants, investigators, and others who are ready to assist in moving your case toward maximum recovery, we provide the most informed and client-focused legal services available. Most civil matters resolve before trial through settlement negotiations and mediation. While we are experienced and formidable negotiators who work to resolve your legal issues quickly, in the most efficient and affordable manner possible, we are skilled trial lawyers, unafraid to take your case before a jury. We are fierce legal advocates who will aggressively fight to protect your rights, promote your best legal interests and acquire the best resolution possible to your civil dispute. Call us today for a consultation at (919) 833-5555.